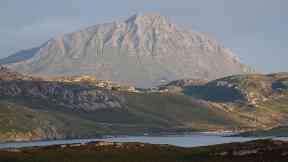 Men's bodies discovered by rescue teams on Ben Hope in Sutherland, Highlands. Two walkers have died after falling from a mountain in the Highlands. The bodies of two men were found on the north-west side of Ben Hope in Sutherland shortly after 2am on Wednesday. A search involving mountain rescue teams and a coastguard helicopter had been launched at 3.45pm on Tuesday.